The price gap between buyer and seller can often prevent a deal from closing. However, if the principals really want the deal to work, and their advisors really want to help, the following ideas might get the juices flowing so that all of the parties involved can think outside the box in order to make the deal work for everyone. If the seller owns the real estate, let him or her lease it to the buyer, thus reducing the price. Another idea is to have the seller lease the premises to the buyer at a higher rent, thereby reducing the goodwill factor. The seller could also lease the machinery and equipment, again reducing the overall price. If it is a fast-growing business with a possible big upside, let the seller share in the growth through an override or royalty over a set sales dollar amount. Or, place a fast-growing portion of the business in a separate subsidiary with the seller owning a part of it – and giving the buyer an option to buy that portion. Let the buyer buy 70%, for example, of the business and the right to purchase 10% more each year on a set formula, thus reducing the price. When all else fails, one good way to solve major issues between a buyer and a seller is for them to meet for dinner, just the two of them, so they can talk about how to make the deal work. We also suggest that you always consult with a professional intermediary as experienced intermediaries can offer helpful ideas and suggestions as to what could work for both the buyer and the seller. The due diligence process involved in buying a business often includes a financial team, a legal team, and possibly other experts to review the additional areas of the target acquisition. Since this process includes a thorough examination of the details of the business, it is important that all avenues are explored so the buyer is aware of any potential “skeletons in the closet” of the company being considered. While some questions follow that may help identify the skeletons lurking within, a business intermediary professional is an excellent person to help a buyer to become aware of other potential issues and how to deal with them. Is the owner/president/CEO constantly interrupted by telephone calls, emails or other diversions that require immediate attention? These interruptions may indicate a business in crisis or a general failure of management to control the business. Do employees seem to take pride in what they do and also in their company? Are they happy? Does the business experience a lot of turnover in either management or at the general employee level? Is the company experiencing loss of market share, especially when compared to competitors? Price increases may increase dollar sales, but the important measure is unit sales. Is the company introducing new or improved products or services? A firm’s ability to do this is a critical part of the operation, affecting its success and potential for growth. Does the company participate in trade shows? Is the interest level high, or is the activity over at a competitor’s booth? Does the company have an excellent Web site and is it technologically above the competition? Does the firm produce monthly financial statements? Are the annual financials produced on a timely basis? Does the company take advantage of trade discounts, or is it late on paying its bills? These practices could be a sign that the company has poor cash-management policies. Are the margins and benchmarks better than industry standards? Has the company used up its entire credit lines and, if so, how (and why) have they been used? Is the firm on any kind of credit watch? Is the firm in a stagnant or even dying market, and can it shift gears quickly enough to make changes or enter new markets? Does the company have too many suppliers – or not enough? Is the inventory turnover better or worse than the competition or industry standards? These are just a few of the business areas that an astute acquirer should investigate, but these areas may be outside the scope of the general due diligence procedures. The due diligence on the financials and the legal aspects are obviously very important, but the answers to the above questions may ultimately determine what price to offer and if the sale is finalized. A fair and reasonable price. A fair and reasonable down payment. Sales that show a reasonable increase through the years. Earnings that provide a new owner with an appropriate annual salary. A compelling reason for sale. A desired or popular business type. An attractive and/or strategic location. Looking for a Business? We can help. It is well known that in many cases the best business to buy is one that is not being actively marketed. We can find the right business for you with our specialized buyer representation program. What Factors Should Buyers Look For in a Company? 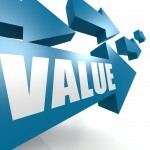 It has often been said that valuing companies is an art, not a science. When you are considering the purchase of a company, three main factors are almost always considered when the seller arrives at their offering price. Some accountants and intermediaries are very aggressive when adding back, for example, what might be considered one-time or non-recurring expenses. A non-recurring expense could be: meeting some new governmental guidelines, paying for a major lawsuit, or even adding a new roof on the factory. The argument is made that a non-recurring expense is a one-time drain on the “real” earnings of the company. Unfortunately, a non-recurring expense is almost an oxymoron. Almost every business has a non-recurring expense every year. By adding back these one-time expenses, the accountant or business appraiser is not allowing for the extraordinary expense (or expenses) that come up almost every year. These add-backs can inflate the earnings, resulting in a failure to reflect the real earning power of the business. As the new owner a primary concern is if the business will sustain the earnings after the acquisition. In other words, you don’t want to buy the business if it is at the height of its earning power; or if the last few years of earnings have reflected a one-time contract, etc. Will the business continue to grow at the same rate it has in the past? Is the information provided by the selling company accurate and timely, and is all of it being made available? A buyer should make sure there are no skeletons in the closet. How about potential litigation, environment issues, product returns or uncollectible receivables? For more advice on the important factors in consideration of buying a business contact The Bridlebook Business Group at 610-325-7066 to help you get the best value for your investment..